In today’s connected world, the reputation of your company depends on the practices of everyone you do business with. SupplyShift provides a cloud-based platform to seamlessly gather intelligence about your partners and put it to work to strengthen your business. Consumers, shareholders, and stakeholders demand supply chains they can trust. Succeed in transparency and responsible sourcing by tracking progress and measuring impact. Lack of visibility can damage your company’s reputation, customer loyalty, stock market valuation, and, ultimately, revenue. SupplyShift gives you the tools to assess and mitigate risks while driving progress. Trace suppliers and materials all the way to their source. Cascading surveys can be forwarded to every tier in the supply chain, and supplier relationships are mapped in real time. Track chain of custody to ensure that suppliers meet industry standards. Implement and manage certification systems and continuous improvement programs for private and non-profit sectors. SupplyShift is purpose-built for compliance verification in any sector, and it supports field audits through our offline mobile application. Custom scoring can be used to instantly show supplier ranking. 80% of a company’s value exists off the balance sheet. Get deeper insight on any non-financial factors that matter to you to enhance your brand value and drive customer loyalty. Make information and dashboards available easily to your staff and your suppliers. "Once companies know where their supply-chain issues are, they can set goals for lessening the resulting impact." Spend less time gathering intelligence and more time improving your processes. Use industry standards or proprietary means to assess your supply chain. Automate supplier enrollment and accelerate response cycles. Choose private or network data to collaborate and share. Highest standards for account and data security. Get instant insight with dashboard builders and customizable analytics and reporting tools. Coffee suppliers and major restaurant brands have made strong commitments to sustainable coffee sourcing, but making good on that promise requires collecting and verifying on-farm data from thousands of small- and medium-scale producers in remote areas. 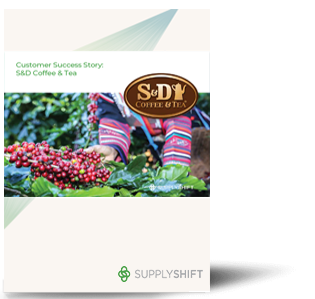 S&D Coffee & Tea chose SupplyShift as a ﬂexible, secure platform for collecting, storing, and managing sustainability data from its 4,500 coffee growers across six Central and South American countries. 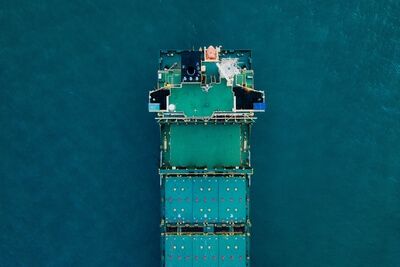 We work closely with leading non-profits and advisory partners to develop best-in-class supply chain responsibility surveys.